Pumpkin the Farm cat is ALWAYS first to the cat food bowls. So he is the first one to thank Loving Pets for sending all of the Farm cats their beautiful new bowls and stands for review. Of course anything Pumpkin has to meow is his own opinion and was not at all impacted by his receiving these lovely new bowls at no cost. Pumpkin is generally a talker which is entertaining in the morning but not so much at 3AM. That Pumpkin! He is a character. EVERY morning we go through the same routine. Until the morning the new bowls were there. That did throw him for a loop. But he’s adjusted to them now and he and the other Farm cats lick them clean! Well, at least when the like the food that is in them. Which can be one day and not the next. AND IT’S THE SAME EXACT FOOD! Cats! They can drive a person insane. I sometimes wonder if that is why they are here on Earth. Did you just hear the sound of a whole species laughing? But back to these wonderful cat food bowls. I like them because they are easy to clean and they look really nice in my kitchen. 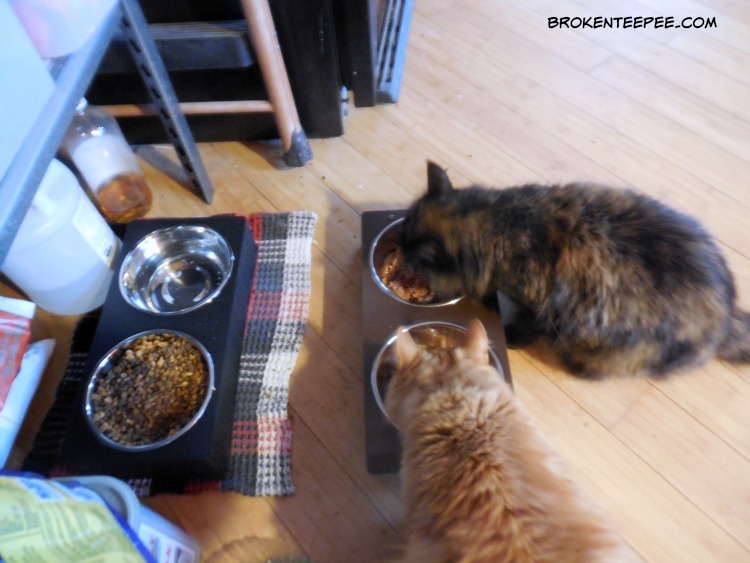 Pumpkin has even been amenable to sharing – which is highly unusual. He usually would swipe at any other cat that would come up to eat with him. 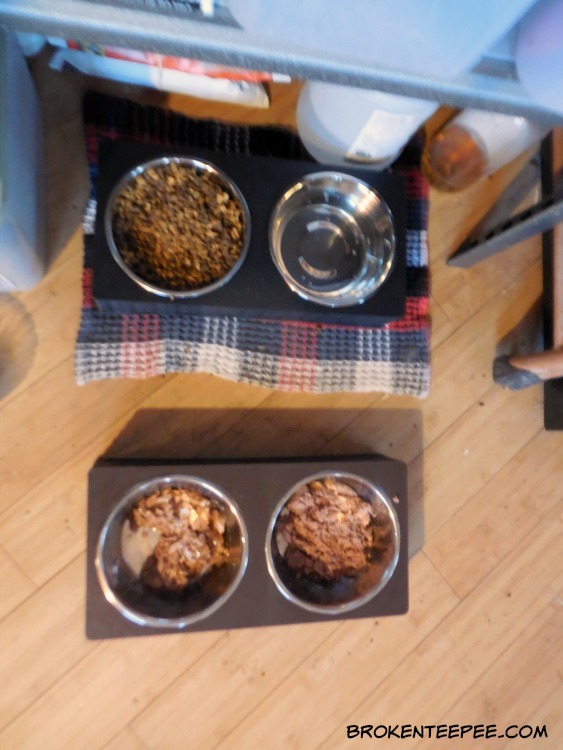 I serve their wet food in one set and leave out their chow and water in the other set. It works really great. All is right in the Farm cats’ eating world. Check out Loving Pets for more cat and dog products.